Recently, Xiaomi stared the rollout of MIUI 6 Stable for Mi 3W in India. As promised, Xiaomi has now released the much awaited MIUI v6 stable update for Redmi Note 4G (LTE) in India. The OTA update for Redmi Note 4G will be reportedly pushed next week but you can choose to manually install the update right now. The OTA update zip file is available through an official download link but isn’t available on MIUI download portal yet. The update sized 577MB will update your Xiaomi Redmi Note LTE in India from MIUI 5 version: KHIMIBH24.0 to MIUI V6.3.2.0.KHIMIBL (Stable). 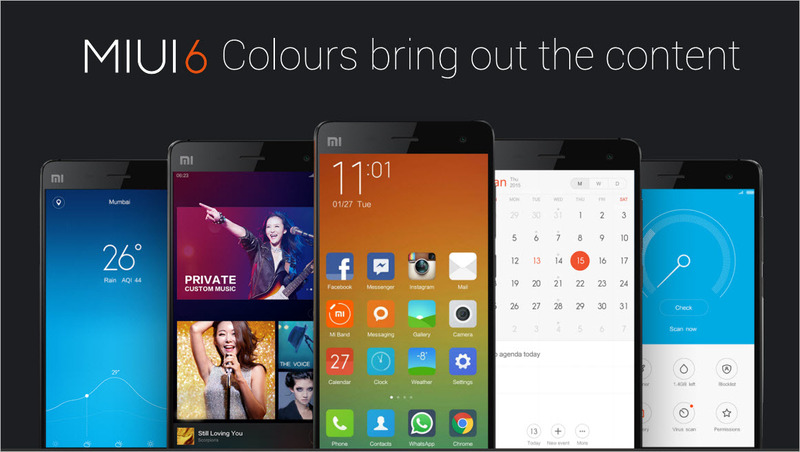 MIUI 6 is big update with significant changes in terms of looks as it features an entirely revamped UI, several new features, improvements and bug fixes. It’s based on Android 4.4.4 (KitKat). Note: This update is meant only for the Indian Redmi Note 4G LTE variant. Best part is that none of your data including the installed apps, apps data, and other settings Will Not be deleted as you’re simply installing the official OTA package. Note: Flashing a newer version of MIUI ROM doesn’t requires to wipe data, but flashing an older one does. So, as you’re updating to a newer version wiping is not needed. Make sure your phone is charged. 1. Download the MIUI 6 v6.3.2.0.KHIMIBL Stable ROM full package. 2. Place the downloaded file in the downloaded_rom folder on internal storage. 3. Open Updater app, press the Menu button. Then tap on ‘Select update package’ option and choose the downloaded ROM (miui_H3LTEGlobal_V6.3.2.0.KHIMIBL_be6848b23f_4.4.zip). Click on the ‘Update’ option, wait for the update to complete and then Reboot to finish. Voila! After rebooting your phone should load up with MIUI 6’s entirely new flat user interface. Note: Be patient after reboot as Redmi Note 4G will take a while to boot up. After upgrade to V6 , do we need to keep the downloaded zip file in phone(downloaded_ROM) , ? can we delete the file and use V6 ? , any issues in that, please clarify. Yes, you can delete the ROM file after update.